Chris Young can now count 25 sold-out arena and amphitheater dates on his headlining “Losing Sleep 2018 World Tour” as 7 busses and 6 tractor trailers rolled through Ohio and Wisconsin over the weekend. Capacity crowds in LaCrosse, WI, Toledo, OH and Columbus, OH, which saw more than 10,000 fans pack the Schottenstein Center, were treated to a 90-minute hit-filled set from Young. In addition to special guests Kane Brown, Morgan Evans and Dee Jay Silver, fans in Columbus were also surprised with onstage appearances by Cassadee Pope and Kelsea Ballerini. The tour has already played to sold-out audiences in Washington, D.C., Boston, Chicago, Cincinnati, Pittsburgh, Grand Rapids, Kansas City, St. Louis and more since kicking off January 11 in Indianapolis, IN. With seven stops remaining on the spring leg of the tour, Chris will travel to Rapid City, SD, Sioux Falls, SD, Lincoln, NE, Missoula, MT, Yakima, WA, Eugene, OR and Tacoma, WA before the end of the month. 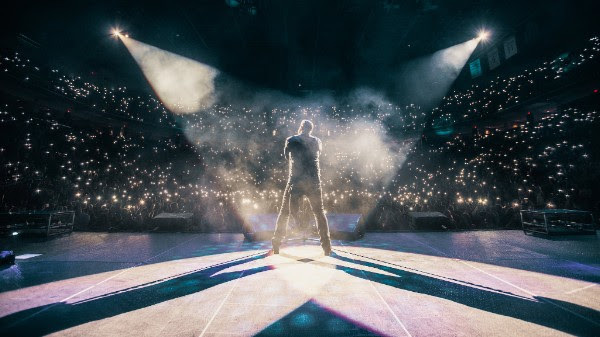 His electrifying live show includes the “commanding vocalist’s” (Houston Chronicle) newest hit, “Hangin’ On,” the second single from Young’s latest album “Losing Sleep” and the follow up to Young’s 10th No. 1. The 55-city tour includes his first-ever hometown headlining appearance at Bridgestone Arena in Nashville on September 22nd.